Alex Rajewski won 1st prize at the annual UGA CAES Interdisciplinary Graduate Plant & Soil Symposium for the presentation of his M.S. 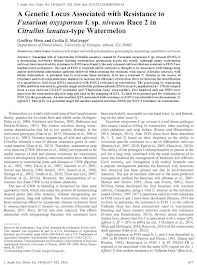 research entitled "Disinfestation and in vitro growth and development of Arundinaria." Geoffrey Meru and Cecilia McGregor, enjoying Cucurbitaceae 2014 in Bay Harbor, MI. We currently have several assistantships available for students interested in QTL mapping and marker assisted breeding in watermelon. Highly motivated candidates with a passion for plant breeding and genetics are especially encouraged to apply. This laboratory is part of the University of Georgia (UGA), Department of Horticulture, in Athens Georgia, USA. Our research program focuses on developing molecular tools for watermelon and integrating these tools into our breeding program. Thus we strive to bridge the gap between basic genomic research and applied cultivar development. 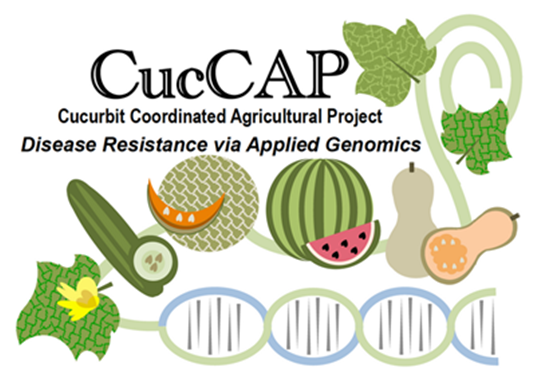 Our current research projects endeavor to identify loci and genes associated with important fruit, seed, flower and disease resistance traits in watermelon. Participants in our research group gain experience in field, greenhouse and laboratory research as well as genomic analysis and bioinformatics. The majority of research is carried out by graduate and undergraduate students, as well as high school students through the Young Scholars Internship Program.